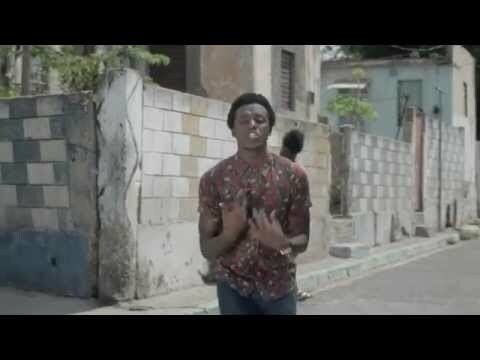 In the five years since he made history as the youngest winner of Television Jamaica’s (TVJ) popular “Rising Stars” talent competition at just 17-years-old, Romain Virgo has emerged as one of the island’s finest singer/songwriters whose innate skills ensure that quality, consciously themed roots reggae will continue to flourish. With the release of his self-titled debut album for VP Records in June 2010, the majority of the tracks produced by Donovan Germain, CEO of Kingston’s Penthouse Records, critics and fans alike were duly awed by Romain’s expansive vocal range and his ability to convey romantic longings with the same sincerity heard in his powerful breakthrough hit “Can’t Sleep”, which decries rampant gun use among Jamaican youth. The same year Romain commenced a hectic touring schedule that took him throughout the United States and all over Europe where his dynamic live performances have generated a large, loyal following. In September 2011 Romain made history again as the first Jamaican artist to perform at the Academy of Country Music Awards, held in Nashville, Tennessee. Romain’s version of veteran country stars The Gatlin Brothers’ 1979 hit “All The Gold In California” was featured on VP Records’ “Reggae’s Gone Country”, with Larry Gatlin singing back up; His performance of “California” alongside the Gatlins, garnered Romain a standing ovation from country music’s elite, and assuredly earned the 22-year old numerous Nashville based fans. Undoubtedly 2012 will be the biggest year so far of Romain’s short but already stellar career. He was named Artist of the Year by JaRIA (Jamaica Reggae Industry Association) at their February awards ceremony held in Kingston; a big winner at the Linkage (Reggae) Awards, held in Mount Vernon, New York in March, Romain was honored as Recording Artist of the Year, Best Male Vocalist and Most Consistent Artist. “Winning these awards is very encouraging and to know that people all over the world are taking on to this music, we give thanks,” Romain said in a March 2012 interview in the Queens, New York offices of VP Records. Adopting a sing-jay approach Romain encourages hard work over violence on “Food Fi Di Plate/Dem A Coward” (produced by Shane Brown who is responsible for seven of the album’s 15 tracks) urging the youths to “sweat for your bread, don’t bus (fire) your gun and dead.” The anti-violence sentiment is underscored on the first single, the gritty “I Know Better”, as Romain’s personalized set of lyrics cautions ghetto youths to refrain from picking up the gun, despite their desperate circumstances: “Every time me think about me mother and the promise where me make to her me know me can’t break that/when me think bout me sisters and me brothers me one life me can’t waste that cuz I know better”. A recent addition to Romain’s live performances, the sentiment of “I Know Better” is met with a heartily enthusiastic response. “I always perform this song a cappella because I want people to listen to the words and the emotion we are trying to get across,” Romain said. Romain’s mother, Mary Collum Gardner, has been an ongoing source of strength in his life; she fully supported his aspiration to become a singer and he honors her with the tender “Mama’s Song”, produced by Nicholas “Niko” Brown for Lifeline Music. “I knew it would reach a point to write a “mama” song and I wanted mine to be special. I come from a very poor family and this song talks about some of things that we have gone through but through it all they encouraged me to continue,” he says. One of the prizes was an opportunity to record with Donovan Germain whose Penthouse label provided the launching pad for many successful artists including Tony Rebel, Wayne Wonder, Cutty Ranks, Sanchez and Buju Banton whom Germain managed for 18 years. Germain immediately recognized Romain’s vast potential and encouraged him to write his own songs. Romain took that advice and went on to pen several of the biggest hits featured on his debut album including the romantic “Wanna Go Home” and the chart topper “Can’t Sleep”. Like its predecessor The System’s songs of struggle (“Minimum Wage”, “Another Day Another Dollar”, both produced by Germain), and survival (“Press On”, “Not Today”) are offset by numerous songs for the ladies. The story of a financially deprived yet charming suitor, the spirited “I Am Rich in Love”, produced (and written) by Nicholas “Niko” Browne, rose to the pinnacle position on reggae charts throughout Jamaica and in the US in late 2011. A smitten, sweetly crooning Romain is offered advice regarding his cheating woman through an unforgettable deejayed verse provided by Busy Signal on “Broken Heart”, destined to be another major hit for both artists; Romain pursues a woman he can’t quite attain on “Fantasize” but has better luck on “Ray of Sunshine” and the sensuous rub-a-dub tune “Fired Up Inside”. An exquisitely crafted one-drop rhythm frames Romain’s rendition of Adele’s haunting “Don’t You Remember”. Produced by Vikings Productions, the slow, stark ballad is transformed into a beautiful lovers rock lament with Romain’s astonishing delivery conveying the torment and broken promises that are intrinsic to Adele’s lyrics. Recorded primarily at Penthouse Studios, Romain, quite humbly, attributes the uncompromised excellence of “The System” to an exceptionally talented team of Jamaican producers working with some of the island’s finest musicians to create durably textured reggae rhythms, and the various artists who regularly record at Penthouse. “I like to surround myself with people who are serious and bring substance to the music. There are so many artists at Penthouse who have helped me to hone melodies, write lyrics and move my music to another level including Busy Signal, Esco Levi, Tamika Marshall and Brown Sugar.